“Drag clubs are nothing new in New York City — but it took a 10-year-old to dream up the first drag club for children. “Desmond Napoles from Brooklyn in New York City is better known by his drag name, Desmond is Amazing. Though still quite young, he first expressed an interest in dressing up in drag as a toddler and has become somewhat of a celebrity on the drag circuit. This insanity would not have happened if it were not for some adult with insane obsessions about queer children not pushed such insanity. 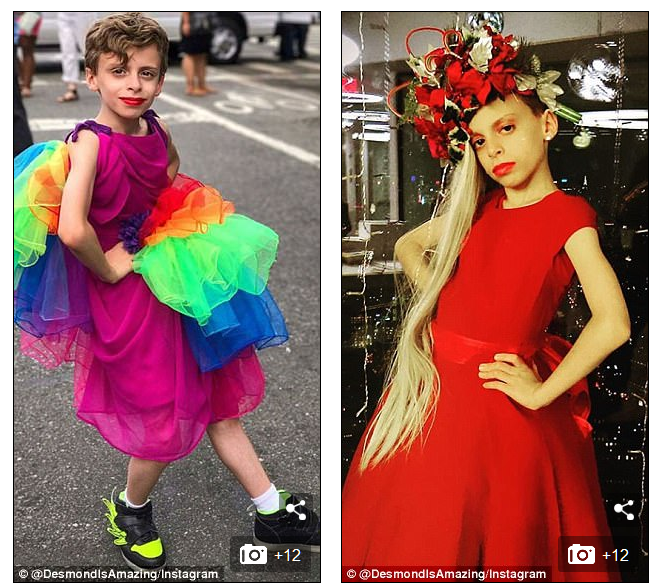 This kid seemed to be a normal boy with normal masculine inclinations.. yet somehow this young boy was exposed to Leftist delusions and convinced his Leftist parents with the assistance of a Leftist shrink to go balls deep in Leftist drag-trans-genderistm! “‘Ever since day one… ever since I was able to walk, I used to take my mom’s towels and take her heels and clomp around the house. [I’d] put the towel on my head, wrap a towel around my body and walk the runway down my house,’ he revealed to Out. “At age five, he liked to play with toy trains, maps, video games, and Barbies but when he was six, an Elsa from Frozen costume changed everything — and Desmond started asking his parents for princess costumes or dresses when they were out shopping. 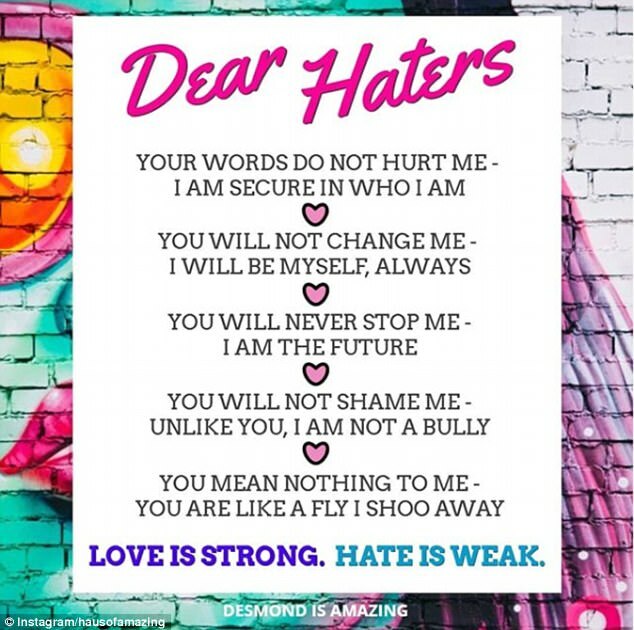 “Admitting that they were concerned about how other people might perceive their son, Desmond’s parents consulted a therapist for advice on what to do. Gee golly whilickers! I wonder who whispered such sweat insanities in the ears of such babes?